Jet Airways cancelled operations with immediate effect from today, after failing to convince lenders for an urgent funding. 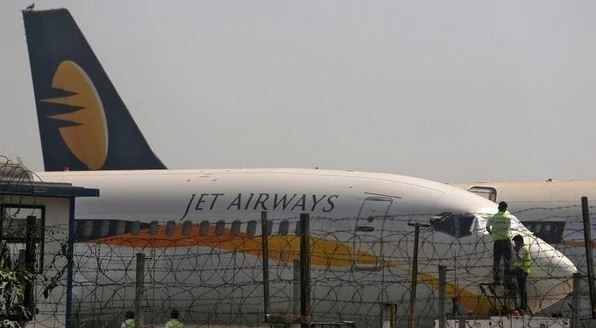 Late last night (16th of April 2019), Jet Airways was informed by the State Bank of India (SBI), on behalf of the consortium of Indian Lenders, that they are unable to consider its request for critical interim funding. Since no emergency funding from the lenders or any other source is forthcoming, the airline will not be able to pay for fuel or other critical services to keep the operations going. Consequently, with immediate effect, Jet Airways is compelled to cancel all its international and domestic flights. The last flight will operate today. This decision has been taken after a painstaking evaluation of all alternatives that were made available to the Company and after receiving guidance and advice on the same from its Board of Directors. Jet Airways has informed the DGCA, and the Ministries of Civil Aviation and Finance and other relevant government institutions, of this course of action. Over the last several weeks and months, the company has tried every means possible to seek both interim and long-term funding. Unfortunately, despite its very best efforts, the airline has been left with no other choice today but to go ahead with a temporary suspension of flight operations. This has been a very difficult decision but without interim funding, the airline is simply unable to conduct flight operations in a manner that delivers to the very reasonable expectations of its guests, employees, partners and service providers. After 25 years of sharing the Joy of Flying with Indian and international guests, Jet Airways has been forced to take this extreme measure as prolonged and sustained efforts with lenders and authorities did not yield the desired results. Essential services needed to support guest services and the re-commencement of the flight operations will be kept onboard until further notice. Jet Airways will continue to support the bid process initiated by the lenders. The airline will inform all guests about the temporary suspension of flight operations via text message or email to the contact details listed in their bookings. Jet Airways sincerely and profusely apologies for the disruption to the travel plans of all its guests. The airline would like to thank them for their continued patronage, support and loyalty over the years. Jet Airways is hopeful that it will be able to bring the Joy of Flying back to its guests as soon as possible. Over the past 25 years, Jet Airways has established itself as India’s airline of choice and the flag-bearer of warm Indian hospitality around the world. The airline has proudly fuelled India’s economic engine, enabling business travellers and tourists alike to traverse the length and breadth of India and the world. Even during the toughest of times, Jet Airways employees have worn a smile on their face and put their duty to its guests and the nation first. Above all, the airline would like to express its sincere gratitude to all its employees and stakeholders that have stood by the Company in these trying times. We hope to bring the flying sun back into the skies.